This week for our CC DIY, we struck gold! 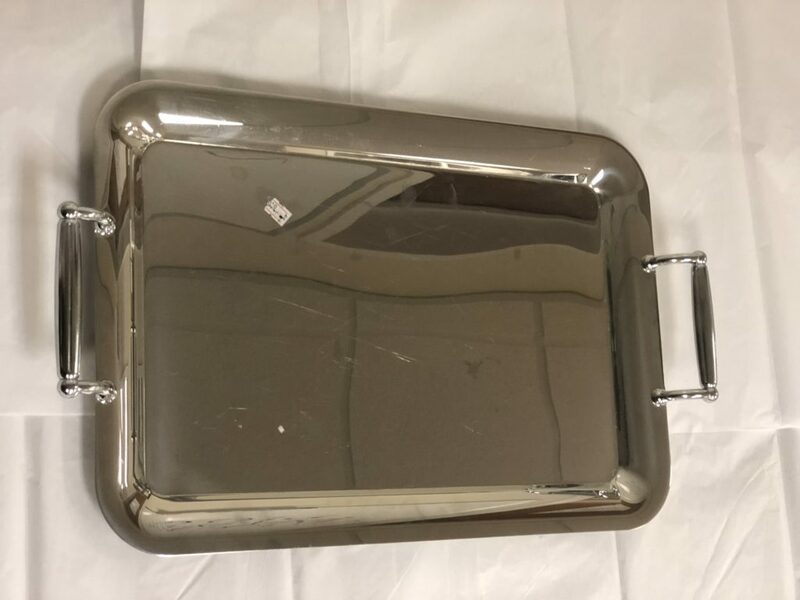 While digging through booths and different items, we scored a Pottery Barn Serving Tray (originally $99 from their site). We purchased it for $3 – no haggling necessary! It’s a little worn from general use, but no major issues, and perfect for this project! Our goal was to turn this into a more stylish & functional tray. 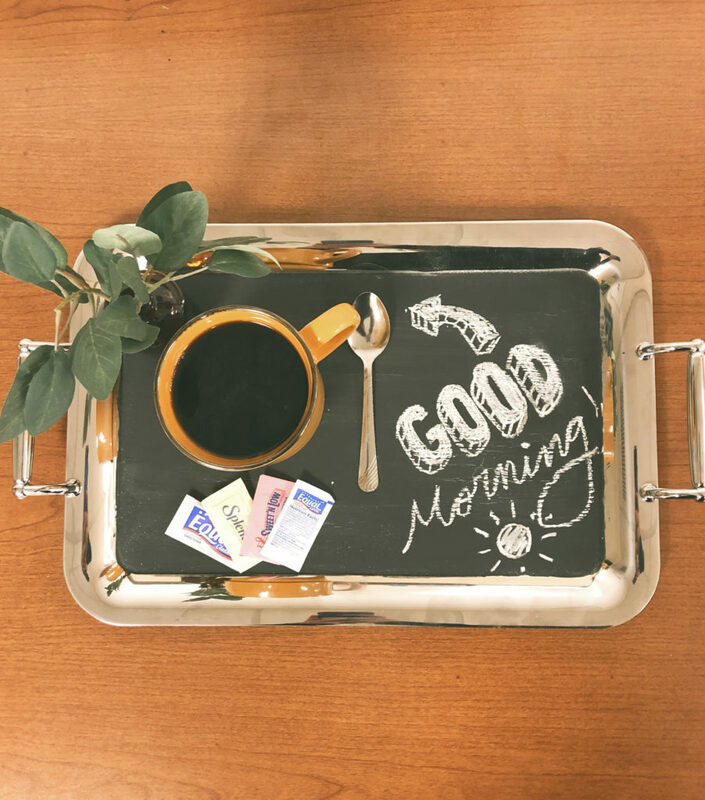 Something we could use to serve coffee and breakfast with a cute note, or a catch-all tray for your entry way. 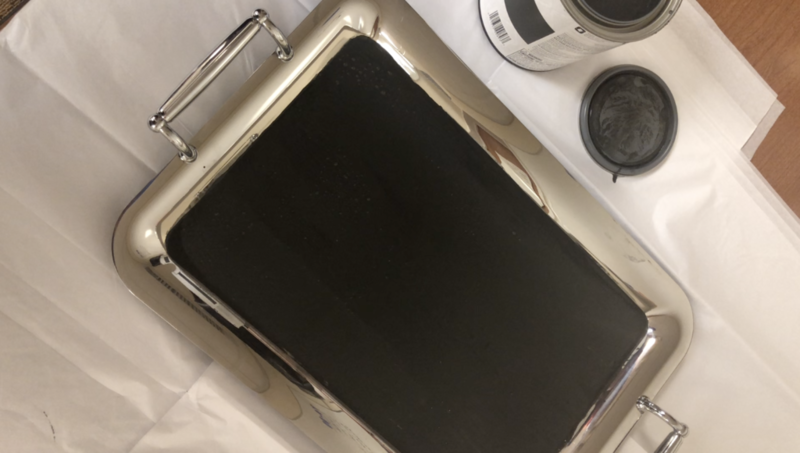 Chalkboard Paint – $20 from Walmart, but we will use this for TONS of projects. We probably only used about $2 worth of the paint. And that’s it! All in all, we only spent about $5 for this project. First, we cleaned the tray. There was some sticky residue from the price stickers and a few scuffs. We wanted to get rid of anything we could to make painting easier. Then we got to start painting! Because of the tray being metal, the paint had a hard time sticking. It took us 4 coats of paint to get a solid color. Each coat took 20-30 minutes to dry completely. Once it’s painted, you just have to style it to fit your needs! We created a coffee serving tray & a catch-all tray. Show us what you did with your flea market flip! What should we flip next?